From the very first session, you will receive practical suggestions to gain self-control over your thoughts, emotions, and behaviors. My approach is non-confrontational and self-empowering, with goals tailored to your needs. I use an integrative treatment approach, based on cognitive-behavioral and positive psychology therapies. Dedicated to improving your life, in a caring and professional manner. 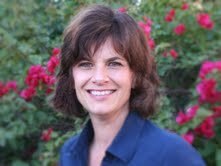 Julie Myers, PsyD, MSCP is a Licensed Psychologist in San Diego, who specializes in teaching self-regulatory strategies for coping with addictive behaviors and substance use, anxiety, trauma and traumatic grief, bipolar disorder, and relationship problems. As an experienced psychologist in San Diego, she is dedicated to empowering individuals and families to regain control over their lives. Dr. Myers uses a cognitive-behavioral and positive psychology approach, adding biofeedback, exposure therapy, and psychopharmacology consultation if indicated. Dr. Myers serves clients in need of alcohol treatment in San Diego as well as other addictive behaviors and mental health issues. She uses a scientifically-based, non-confrontational and self-empowering approach to psychotherapy and addiction treatment. You can learn to accept yourself unconditionally, change harmful behaviors, and address underlying conditions that fuel your behaviors. Click to read my blog!